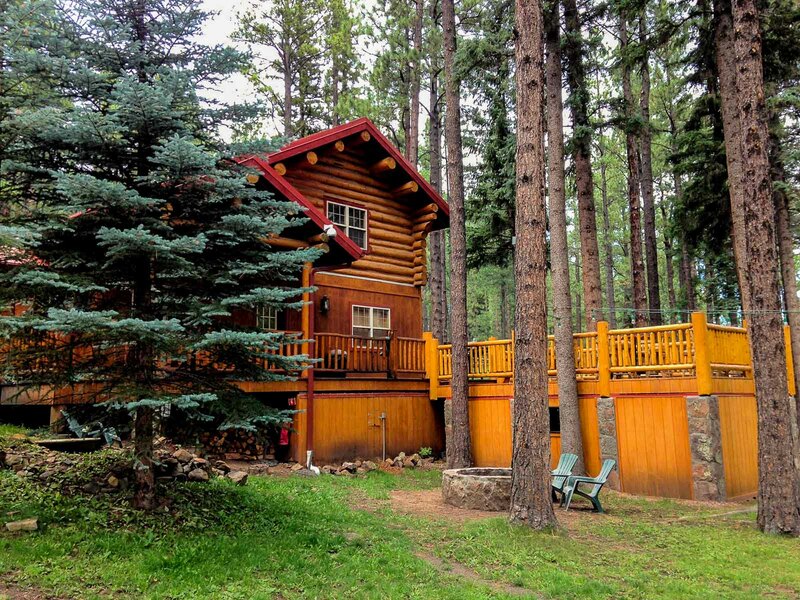 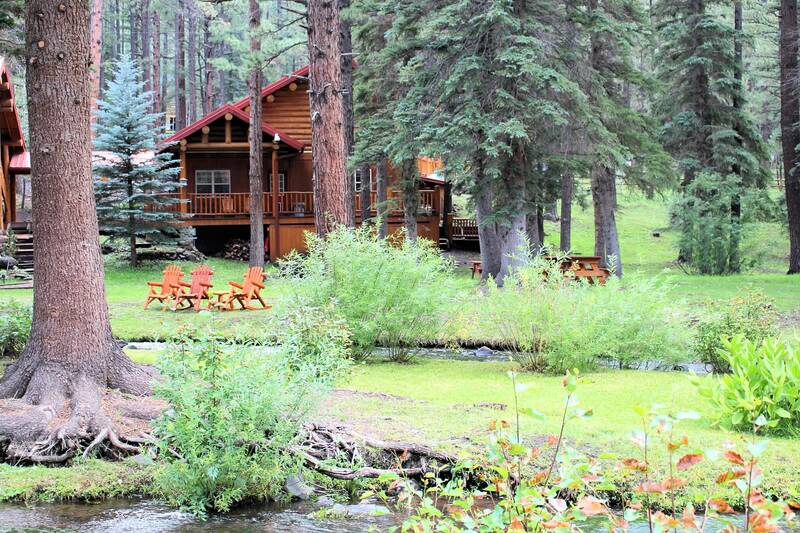 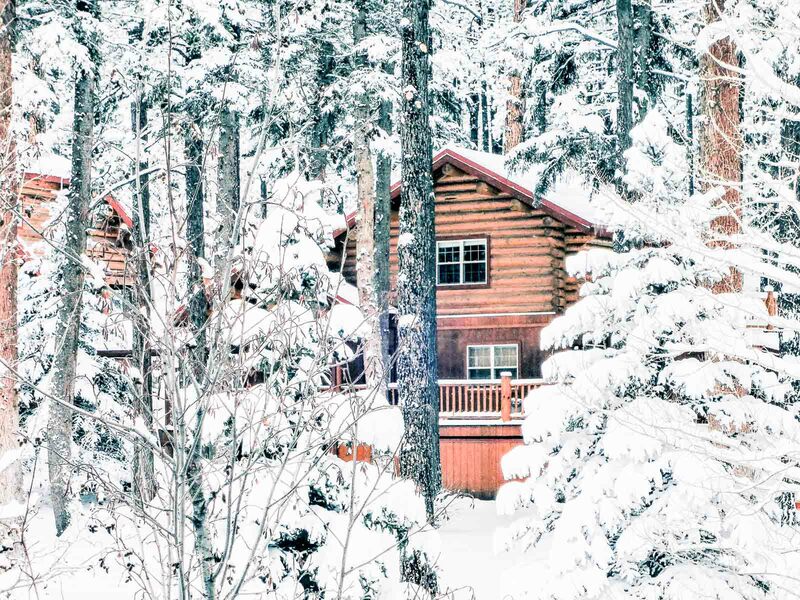 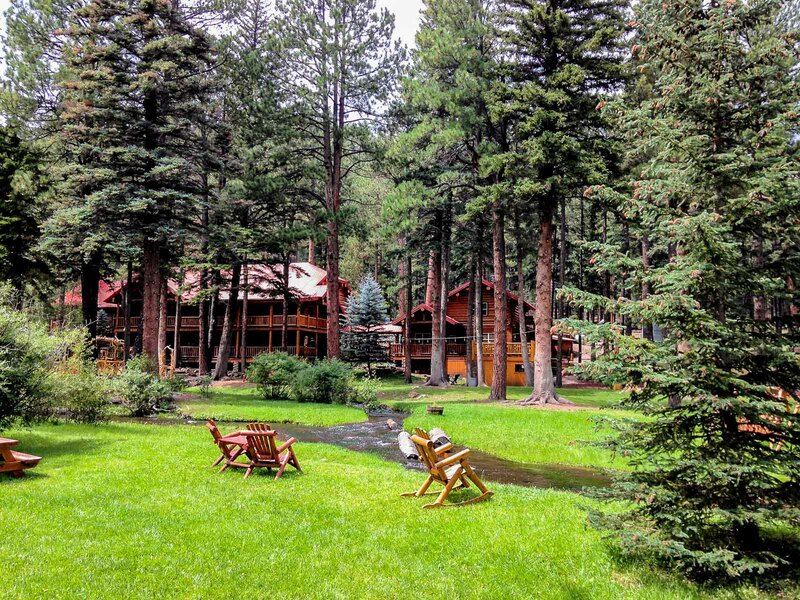 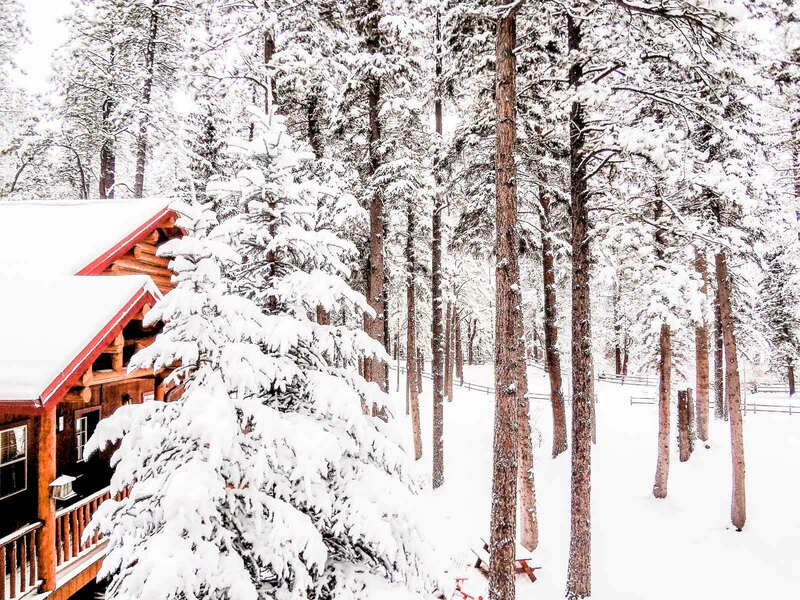 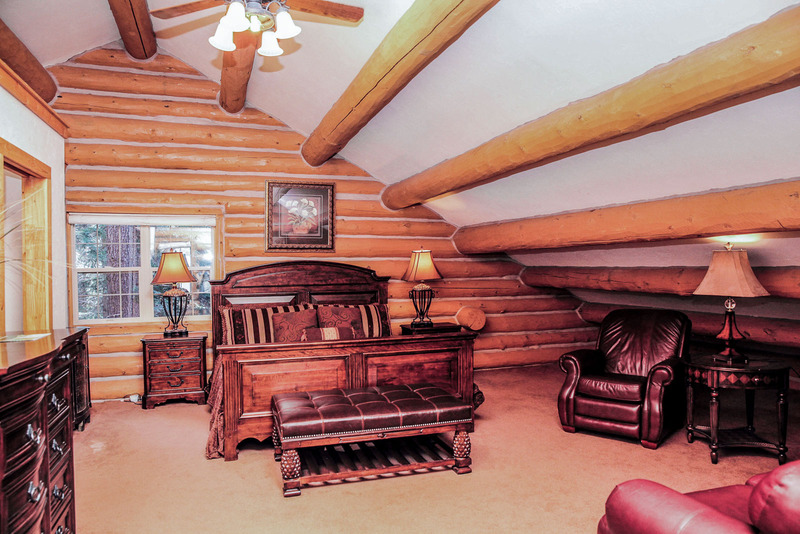 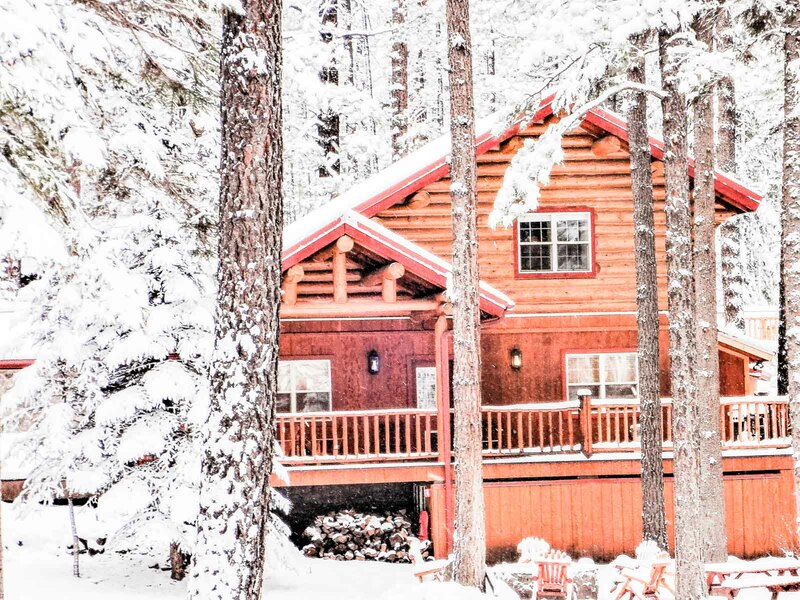 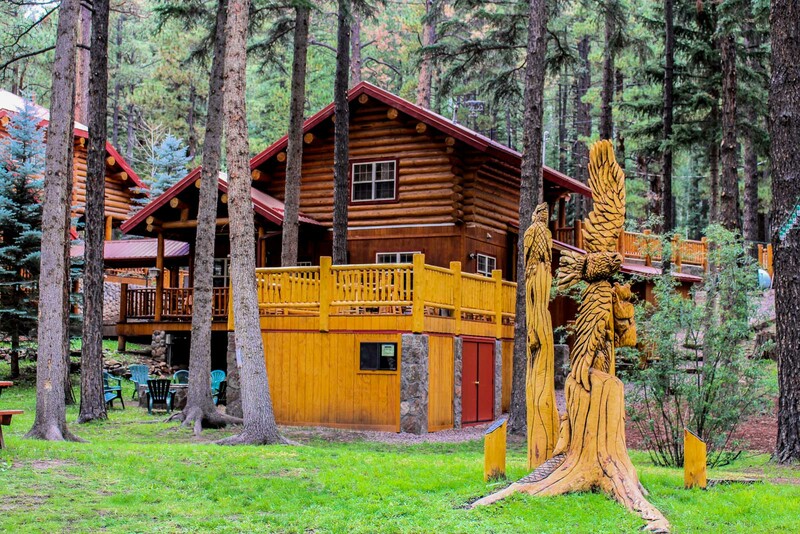 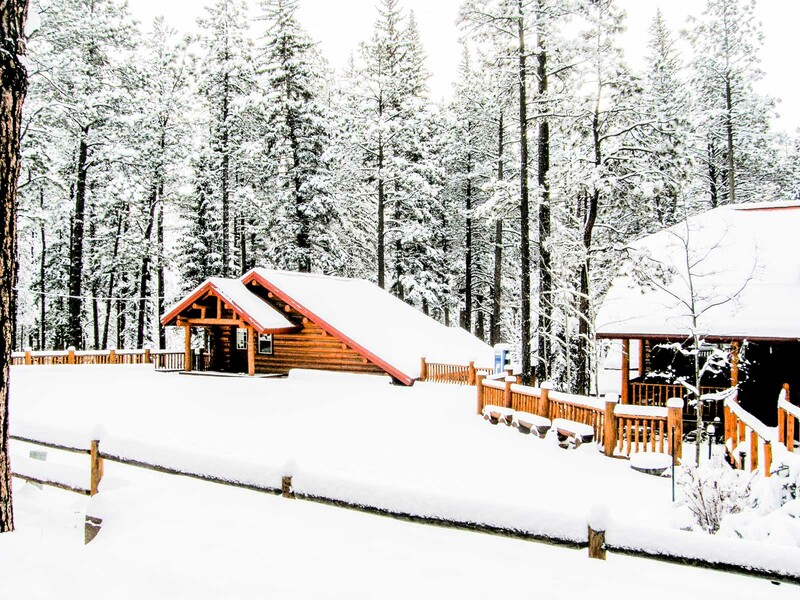 This handsome cabin with 2 bedrooms and 2 bathrooms is situated adjacent to the lodge, nestled in the pines overlooking the west fork of the Little Colorado River. 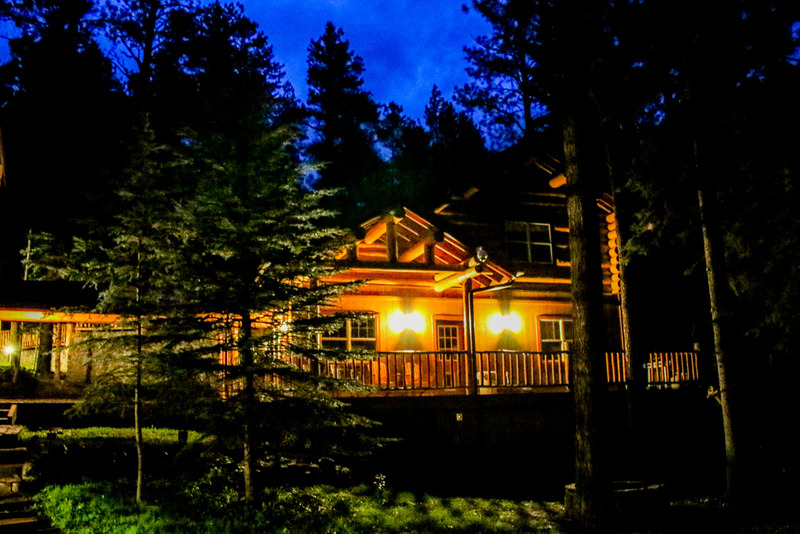 Sit and relax on your own deck, take in the woodland views and the sound of the river, or meander the beautifully manicured grounds. 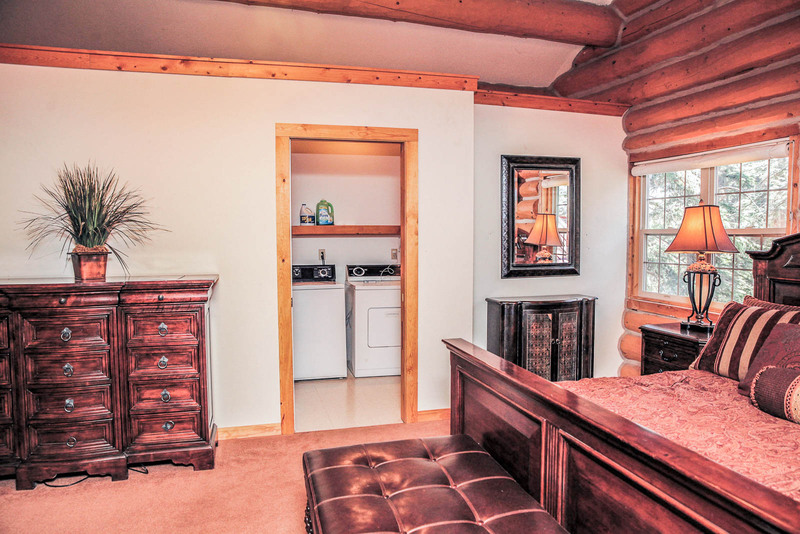 The interior of this two-level cabin is comfortably appointed and tastefully decorated with little touches of mountain and woodland charm. 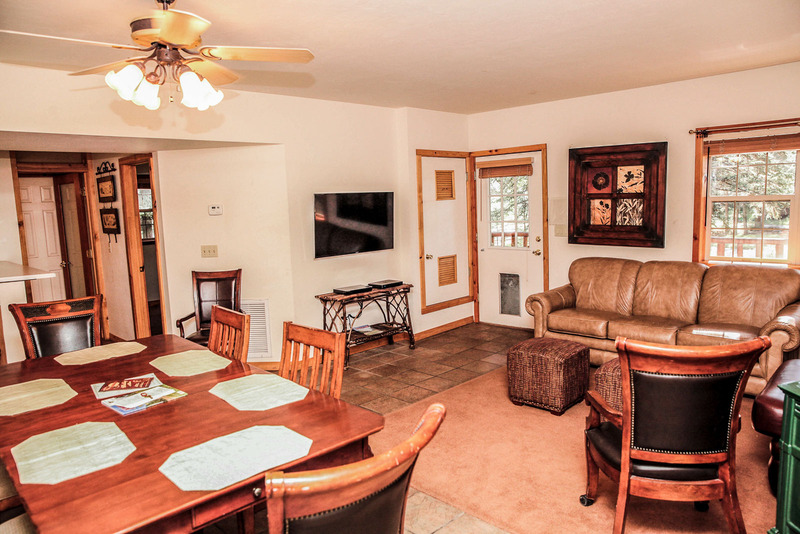 Downstairs you’ll find a large main family room with gas fireplace and a leather sofa sleeper (queen), a full bathroom, the kitchen with an electric stove, oven, and microwave, and a bedroom with a queen bed. 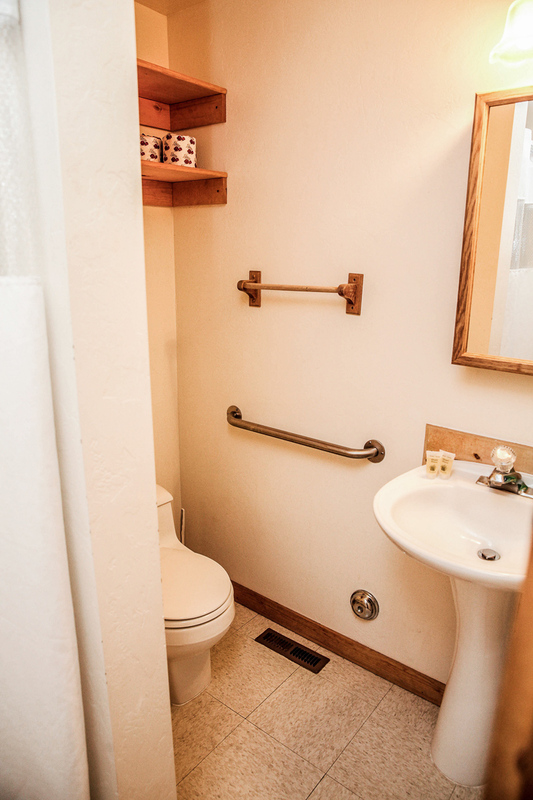 On the upper level of the cabin you’ll find a spacious bedroom with a king bed, a leather sofa sleeper (queen), a bathroom with a standing shower, and the laundry room with a washer and dryer. 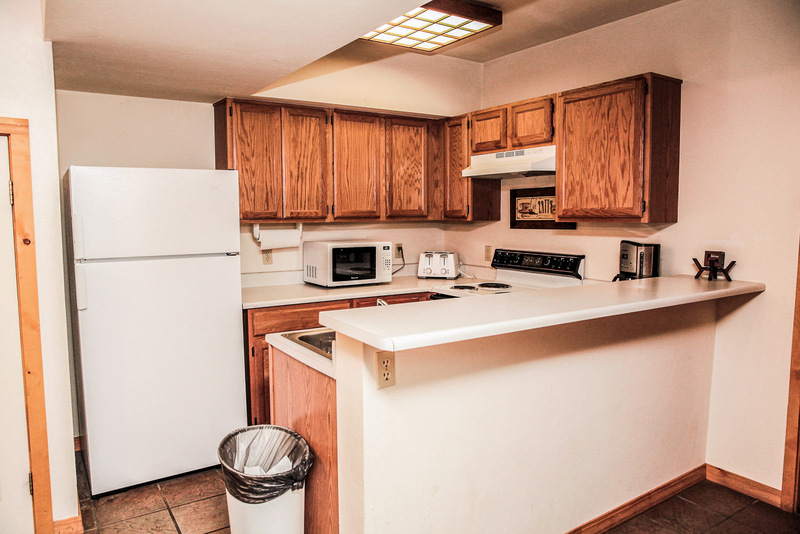 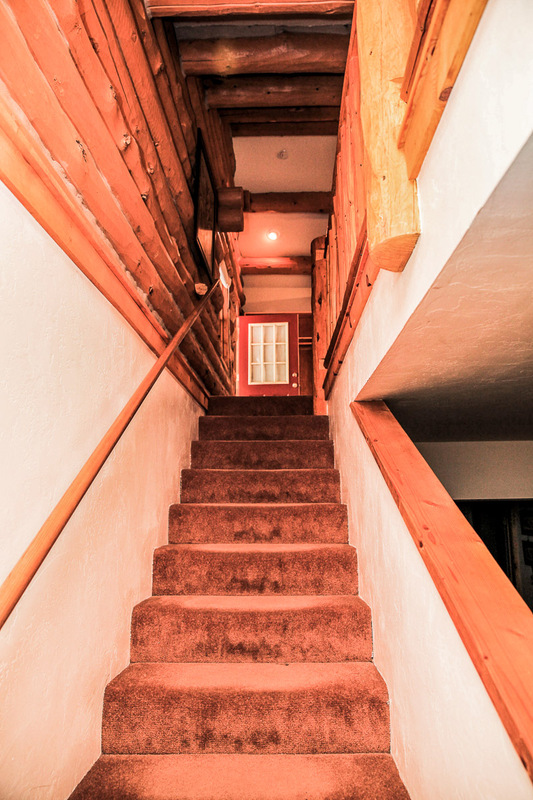 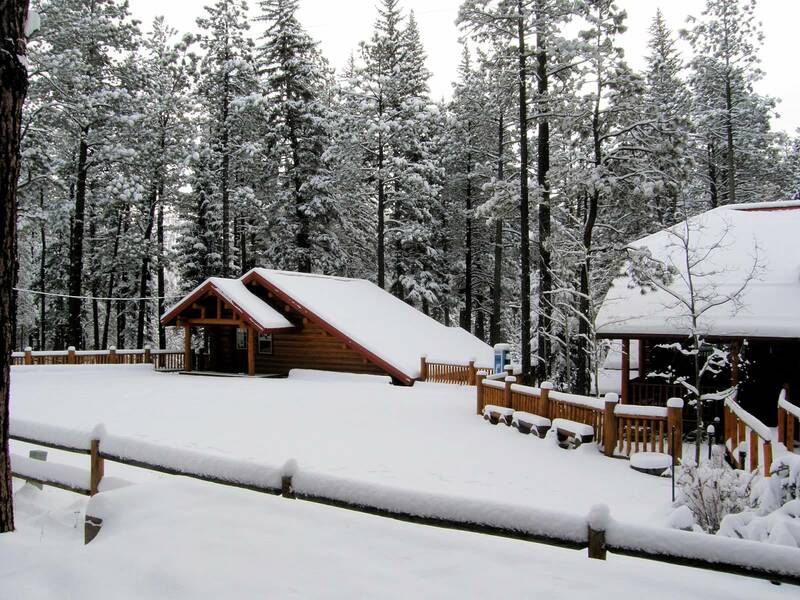 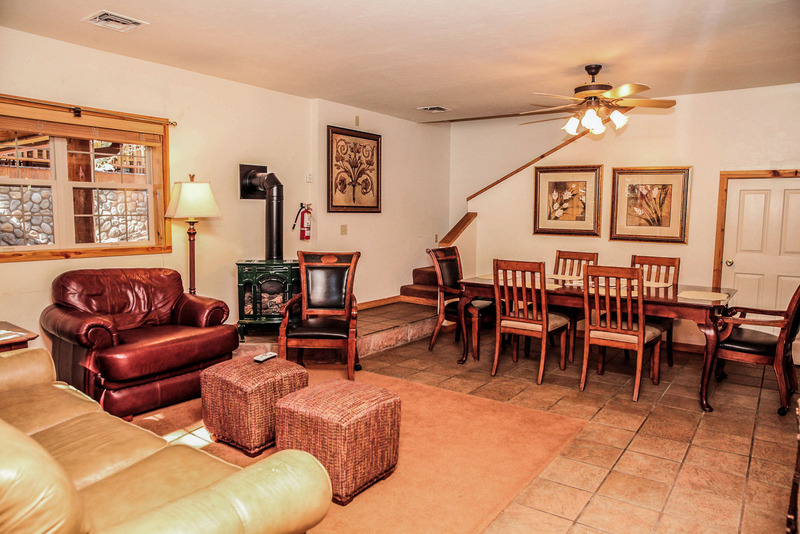 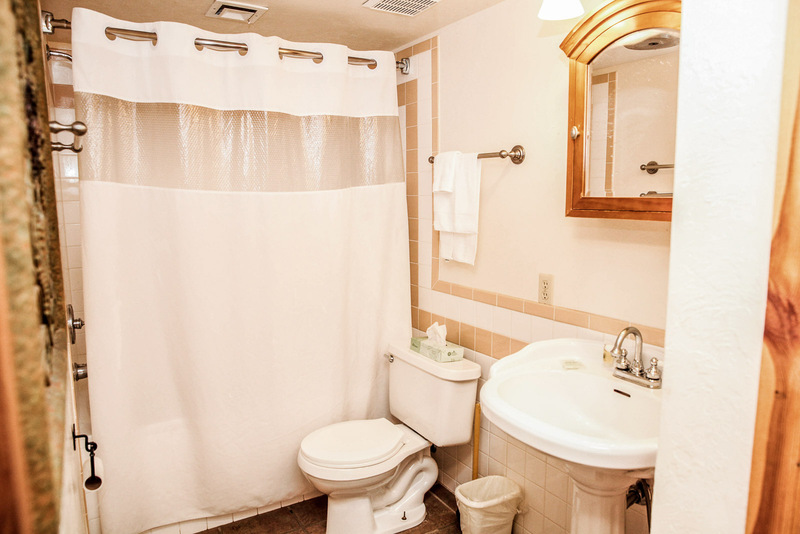 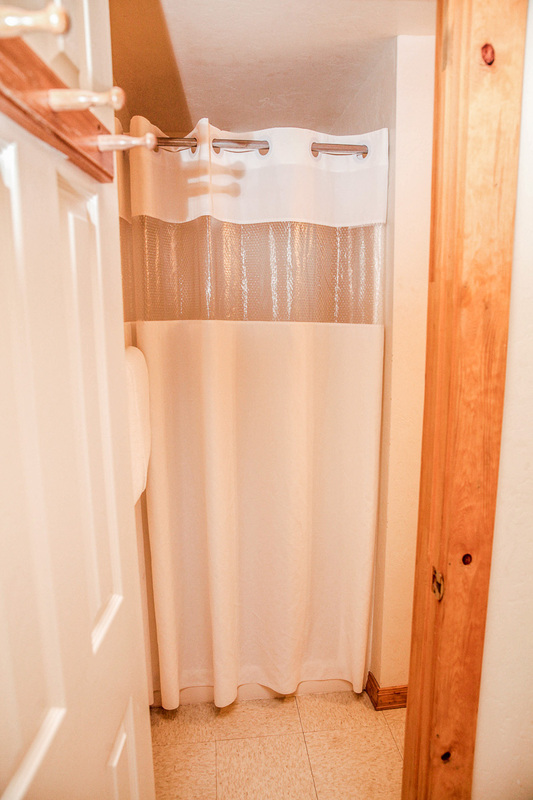 For your entertainment, the cabin has a 46″ HDTV with DIRECTV®, a Blu-ray DVD, and password secured Wi-Fi access. 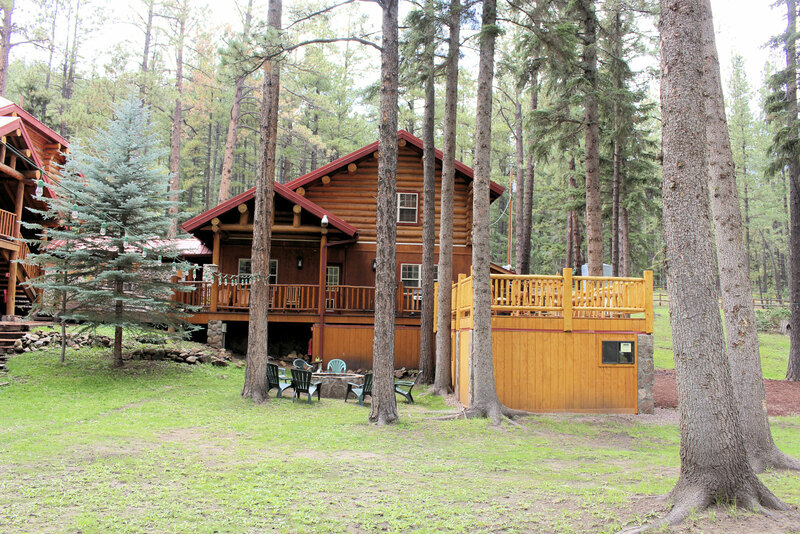 The cabin’s own private deck features seating and a gas BBQ grill. Guests have access to the Red Setter’s entire four-acre private grounds, which offer prime access to fishing, hiking, wildlife and bird watching, or just relaxing with a camera and a book. 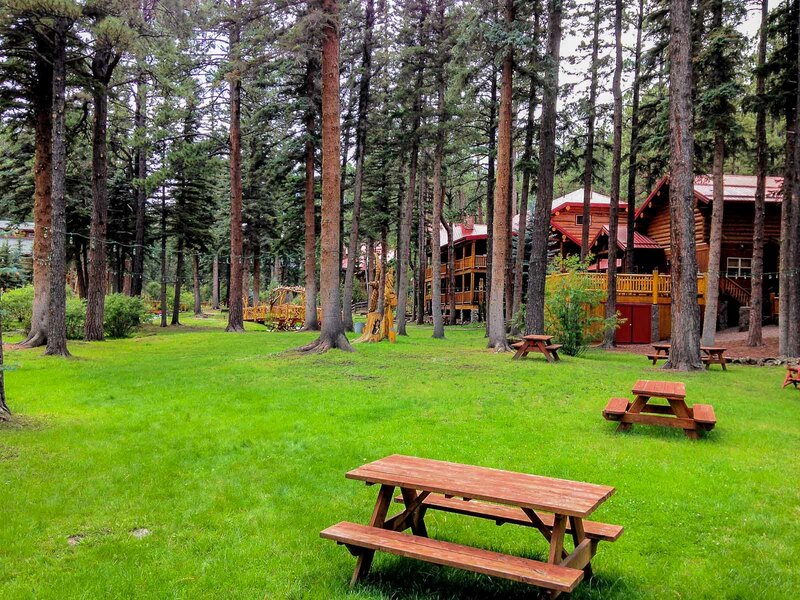 Horseshoe pits and fire rings offer opportunities for memorable fun with the entire gang. 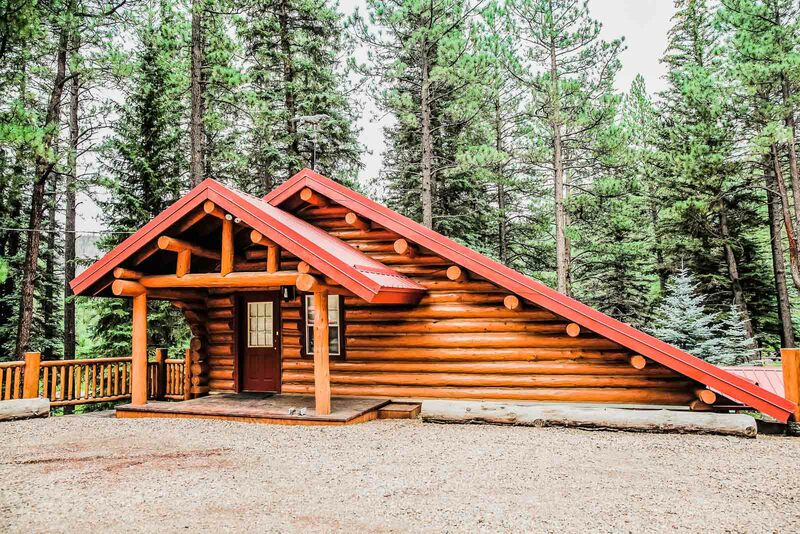 Also, Wi-Fi signal is generally strong enough throughout the grounds so you can download that next book onto your e-reader or stream videos on your iPad. 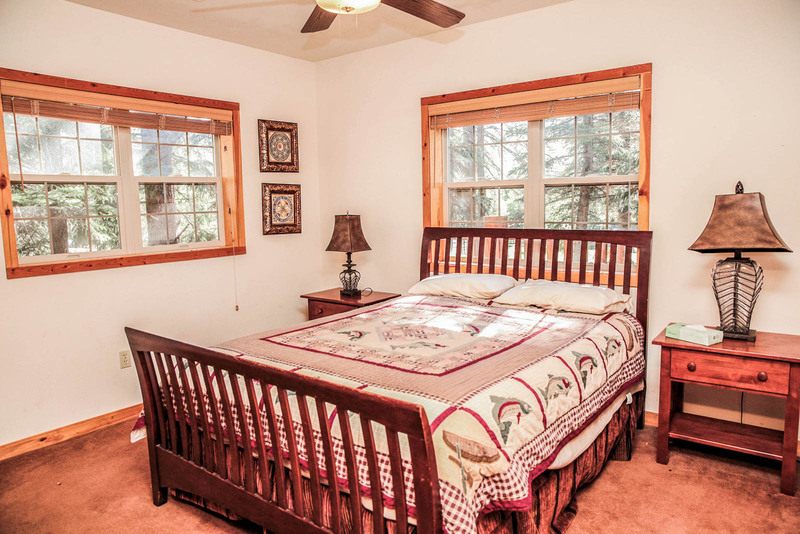 This cabin is located at the Red Setter on Main Street at the south end of the village of Greer, and is within walking distance to most of Greer’s restaurants, shops, and most adored hiking paths.